On October 24, 1942 vocational agriculture teacher St. Elmo Lee gave up his classrooms at Ray City and New Lois, GA for the U.S. Army. He was inducted at Fort McPherson, Atlanta, GA for the duration of the war. He was single, 5′ 9″ tall and weighed 134 pounds. St. Elmo Lee enlisted as a private, eventually serving as a sergeant in Battery C, 902nd Field Artillery Battalion 77th Division. He fought in the Pacific Theater of Operations from March 30, 1944 to November 22, 1945 during which time he was involved in amphibious assaults and campaigns on the Marshall Islands, Southern Philippines, and Ryukyu Islands. U.S. howitzer fires on Catmon Hill, Leyte, Philippines. October 20, 1944. 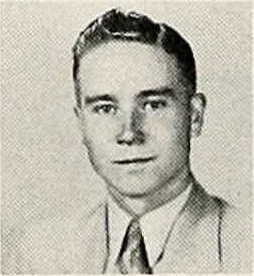 St. Elmo Lee, of Ray City, GA participated in the Battle of Leyte with the 902nd Field Artillery Battalion. In November 1944 the 902nd provided artillery support for the 77th Division operations in the Battle of Leyte. In November 1944 the 902nd Field Artillery Battalion provided support for the 77th Division operations in the Battle of Leyte. In April 1945 the 902nd was with the 77th Division in the first attack on the Ryukyu Islands, seizing the islands west of Okinawa, and later moving to Okinawa itself. St. Elmo Lee continued to serve until the end of the war. He was returned to Fort McPherson, GA for his discharge on January 1, 1946. 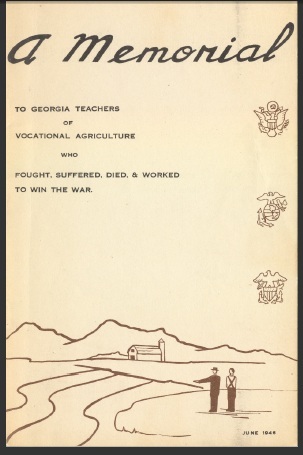 After the war, a pamphlet was published to honor the contributions of Georgia’s agriculture teachers, A Memorial to Georgia Teachers of Vocational Agriculture who fought, suffered, died and worked to win the war. Among the area agriculture teachers who served were: St. Elmo Lee, of Ray City and New Lois schools, J. V. Wynn from Nashville and Poplar Springs schools; W. C. Thigpen, Jr. of Barney; W.E. Rooks and Hal Godwin, of Homerville; K. N. Phillips from Ocilla; and J. I. Musselwhite, of Willacoochee; R. E. King, Jr., of Clyattville and Lake Park; John Hensley of Hahira; H. C. Dorminey from Tifton; and Tom M. Cordell, of Abraham Baldwin. 1946 war memorial to Georgia teachers of vocational agriculture. One hundred and fifty-seven teachers of vocational agriculture left their classrooms and entered the Armed Service between 1941 and 1945. More than two-thirds of these served in the army, about one-fourth in the navy, and the rest in the Marines. These teachers scattered to the four corners of the earth. To the damp humid jungles, to the freezing temperature of the Aleutians, to the barren sand-swept deserts, they went to do their bit for Uncle Sam. But no matter how far away from home, their thoughts stayed in Georgia. Seven of these men made the supreme sacrifice. Some of the men were injured; they came back maimed for life, wearers of the Purple Heart. Some were captured and suffered the horrors known only to “prisoners of war.” Many were decorated for courageous actions. All made courageous contributions to winning the war. The accumulated stories of these teachers would probably fill a book. Some were baptized in fire with American forces that swept across France and into Germany itself. Others fought from the decks of ships or cheated death in flaming battles of the skies. Still others who may have wanted to get in the active fighting were assigned to shore stations in this country or abroad. But all of the men have stories to tell-if they wanted to talk. It is highly probable that the experience of the men give them a more international point of view. They have seen enough to convince them that this is now in reality one world. And they have had an opportunity to see where Georgia and her agriculture fit into the scheme of things. Today, some of the teachers are returning to the classrooms they left behind; some are teachers of vocational agriculture in new fields; others are instructors in the newly developed Veterans Farmer Training Program. Georgia is glad to welcome back her sons. They have done a good job where they were and there is still a job for them to do here. It is good to see the official family of vocational agriculture getting back together again.